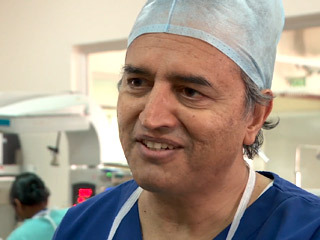 DR. DEVI PRASAD SHETTY (Founder, Narayana Health): Hole in the heart. It is one of those standard procedures. FRED DE SAM LAZARO, correspondent: It’s probably more “standard” for Devi Prasad Shetty than just about anyone else. The 62-year-old surgeon says he stopped counting after his 15,000th open-heart operation. DR. SHETTY: I do now about one or two surgeries a day, and we work six days a week. My colleagues—some of them do four surgeries, five surgeries a day. DE SAM LAZARO: Anywhere from 25 to 35 open-heart operations are performed in the theaters here every day, many on babies, making this by far the largest cardiac care facility in the world. This 1000-bed hospital in Bangalore is part of a fast-growing for-profit hospital chain called Narayana Health. Its error rate is similar to or lower than most American hospitals, at a tiny fraction of the cost. Take this complicated valve replacement operation that took more than six hours. DR. SHETTY: This patient would have paid us about $2500 to about $3000, but in the US an operation of this nature would cost, I guess, anything from $70,000 to $100,000. DE SAM LAZARO: Dr. Shetty founded Narayana Health 15 years ago. Like similar enterprises in India, it does serve wealthy patients and some medical tourists. But he says the mission is to bring the latest advances in cardiac surgery to the lower middle class and the poor. DR. SHETTY: If a solution is not affordable, it is not a solution. It’s pointless if we talk about huge developments in cardiac surgery or a brain operation or complex cancer surgery if [the] common man cannot afford it. I see 70 [to] 100 patients a day. A typical patient of mine is a little kid on a mother’s lap. (to infant's mother): He has a leakage in the valve of his heart. He needs an operation. DE SAM LAZARO: The surgery carries risks, Shetty told the child’s family. Mother of infant: Sir, he is my only child, that’s all I want to say. DR. SHETTY: I will do everything possible. God will make it alright. Don’t worry. DE SAM LAZARO: It’s a scene repeated several times a day, Shetty says, and the tears, the anguish are not always about whether the surgery will be successful. DR. SHETTY: I tell the mother that the baby requires a heart operation, and she has only one question: how much it is going to cost? And I tell her that it is going to cost 80,000 rupees, which she doesn’t have, and that is the price tag on the kid’s life. She comes up with 80,000 rupees, she can have the baby. If she does not have 80,000 rupees, she going to lose the kid. 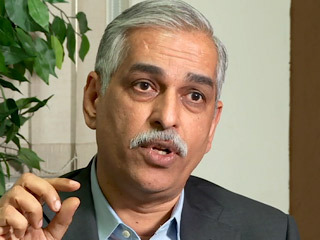 DE SAM LAZARO: That’s about $1300, a lot of money in India, where hundreds of millions earn less than two dollars a day. A few patients are helped by a charitable trust set up by Narayana Health. Most have somehow scrounged together the resources. In India, Shetty says 80 percent of all medical bills are paid out of pocket. DR. SHETTY: They virtually sell everything that they have and come for treatment. Half the country’s population borrow money or sell assets to pay the medical bills. DE SAM LAZARO: The parents of five-month-old Manoj borrowed about three times their monthly income as rural farm laborers just to figure out why the child wasn’t thriving. HEMAKSHI SIVAPURA (Mother of Baby Manoj): He was not taking his milk properly, he had fevers and cough, so we took him to see the doctor. They told us he needed surgery. DE SAM LAZARO: That meant a day-long train journey to this hospital. But once there, another Narayana benefit kicked in: an insurance policy developed with farmers associations and state governments in South India. The plan covers only major medical costs like surgery, but the premium of just 10 cents a month makes it widely affordable. DR. ASHUTOSH RAGHUVANSHI (CEO, Narayana Health): It's amazing that such a small amount of money could provide that care. The number of people who are covered under this scheme is about 10 million now, and it has performed close to about 100,000 operations of various kinds. 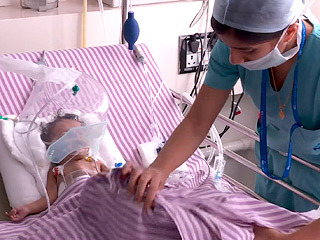 DE SAM LAZARO: We were assured three-year-old Chitrashri was in no physical pain, just anxious as nurses removed her stitches from a successful heart operation—a huge relief medically and financially for her parents, who struggle to get by selling milk from their two cows. The insurance coverage for their extended family and so many others has been a significant revenue source for Narayana Health. DR. RAGHUVANSHI: About 25 percent. DE SAM LAZARO: So it's significant? DR. RAGHUVANSHI: It is significant. DE SAM LAZARO: It is just one business strategy Narayana has used to find revenue. It also has a Walmart-like approach to cost saving, squeezing vendors for everything from surgical gowns to supplies to devices. DR. SHETTY: We have 32 hospitals across India. Twelve percent of the heart surgery done in India is done by us. When we implant one of the largest number of heart valves in the world, obviously you pay for it less than others. And also, more than the cost, our results get better. 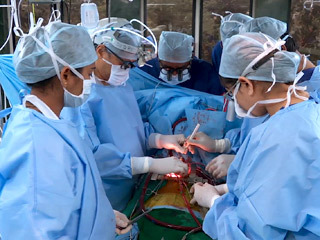 DE SAM LAZARO: He says the sheer volume of surgery not only improves productivity and lowers cost, it also makes the surgeons better at their art. They’re paid well by Indian standards, but probably far less than they could earn elsewhere, especially in the West. DR. SHETTY: We can address the need of the doctors, but we cannot address the greed of the doctors. And I’m pleased to say that our attrition rate among doctors is virtually zero percent. They love working here. DE SAM LAZARO: What qualities are you looking for specifically to work in a place like this? DR. SHETTY: The most important quality is the passion. The second most important quality is compassion. DE SAM LAZARO: Shetty grew up in a middle-class Hindu family and developed an early passion for medicine watching doctors treat his parents, who both suffered ill health. After medical school, he trained in London and returned to work in India, at first in Calcutta. There, by chance, he got to treat the city’s most famous citizen, Mother Teresa. 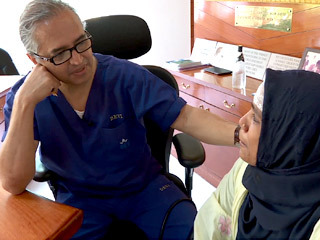 DR. SHETTY: I was truly, truly touched by her thoughts and deeds—like a simple statement from her which says that hands which serve are more sacred than the lips that pray. DE SAM LAZARO: Shetty says he serves with his hands. And he prays. DR. SHETTY: I am very, very spiritual but I am not religious. I believe in the existence of God, and before I start an operation I pray to God, and after the surgery I again pray to him for taking me through the operation. DE SAM LAZARO: Prayer...Mother Teresa...Walmart? Shetty sees no contradiction. 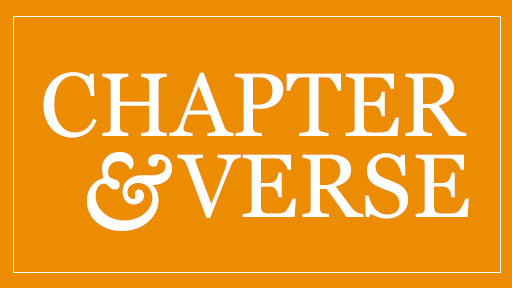 In order to be charitable at any scale, he says, you can’t be a charity. DR. SHETTY: Charity is not scalable. It doesn’t matter who you are. You may be the richest person living on this planet, but if you want to offer free surgery, free treatment to everyone, you will go broke within a month. But good business principles, standard business policies are scalable. DE SAM LAZARO: Narayana Health has branched out beyond cardiac surgery into cancer and kidney care, and Shetty says it will become the world's largest hospital system in a few years. SIVAPURA: It was very difficult at first when we came to see him, but the doctors told us that things are going to be alright. DE SAM LAZARO: Baby Manoj is but one case, Shetty says, that proves health care—even sophisticated surgery—can be made accessible to the poorest people in the farthest corner of the world. For Religion & Ethics NewsWeekly, this is Fred de Sam Lazaro in Bengaluru, India.